I love stopping at this Marina on my cruises up and down the West Coast of Florida. A 4 star on this stay only because the Marina staff (Tom) seem to be getting ruder and ruder. The professionalism, respect, and common courtesies are non existent. Perfect location! Have to watch the sunset at Jimmys Crows Nest, and eat dinner at The Bait House!!! Best weekend ever! 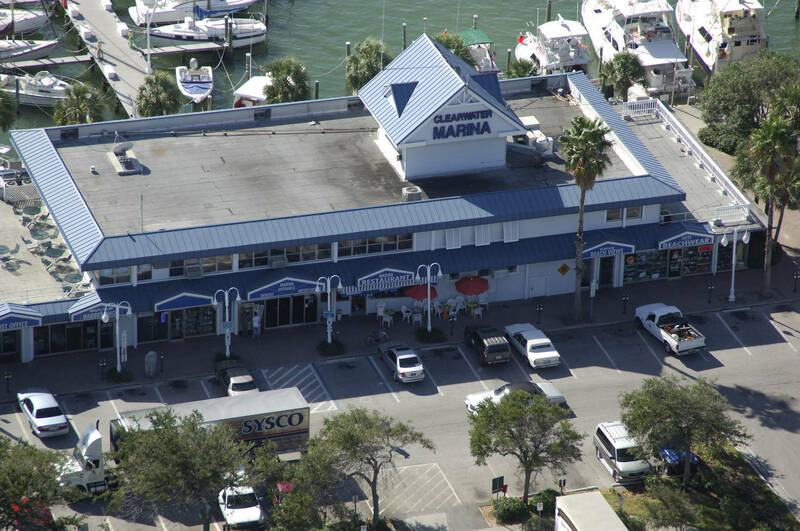 The staff at the marina accommodated us with no issues. The marina gets a lot of rolling wake when the tour and dinner boats come in and out but after nightfall things quiet down a lot. The staff, especially John and Tom, is the best. Fixed finger piers not in best of shape. Only single showers. No night security. Dock hands helpful. Great location. Not great. 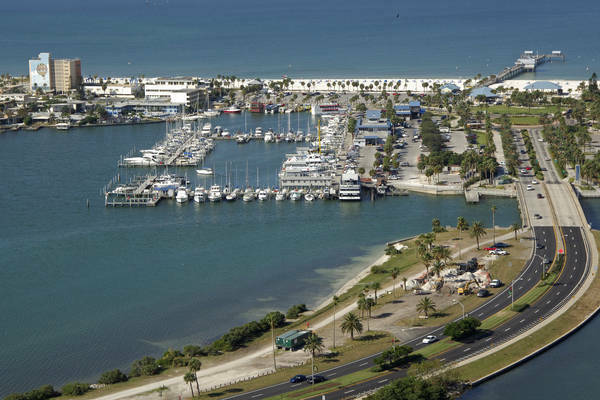 Very busy, no staff support, old docks, in a zoo Clearwater beach area. "D-" bathrooms/showers. Would not stay again for the money. Good stay. Only one dock hand so no body to grab our lines. Never gave us a key for gates, had to call security each night to get back to our boat. New Year's Eve, no security on site, had to wait even longer. Charging more but offering less. 2nd stay and will be back many times. Friendly and helpful dock crew, private showers, convenient laundry facilities,excellent location to ICW, Clearwater Pass, restaurants, stores, Beach. Everyone was great. We had a great time and a great slip. Great location. nice docks. The staff was helpful upon docking and all during our stay. No charge pump out is included as well. Docks are old and rickety. Bird crap everywhere. Worst part is that they don’t have enough power at the pedestals to run all my a/c units. For the price I paid I expected more. Great location near the beach. Bath and laundry facilities are clean. Clearwater Beach is very walkable with available trolley to all points on the island and points north to Tarpon Springs. 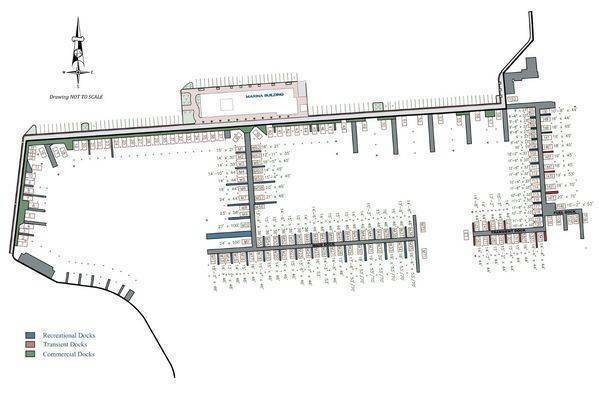 Publix walkable, trolley or bike. Docks aged but the positives outweigh any negatives. Helpful staff available 7-6:30. Fuel dock w/ pump out. Looking forward t o our return. 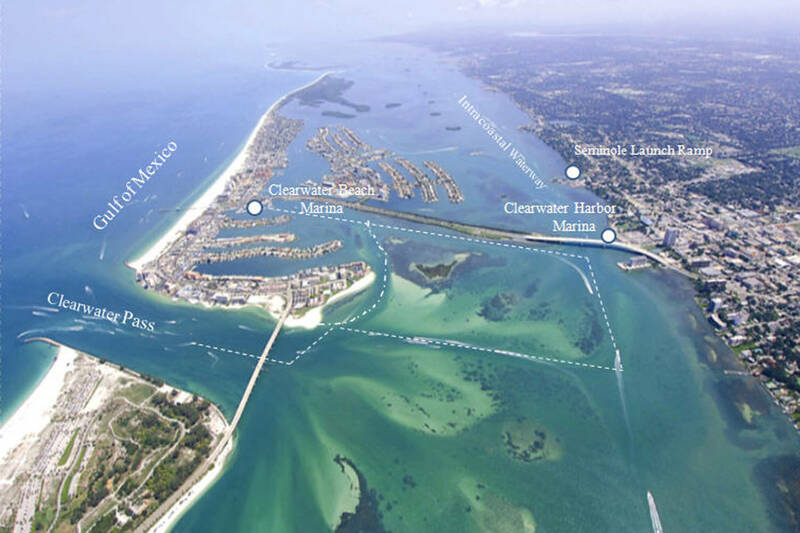 Great marina and convenient to beach and town. Good WiFi. 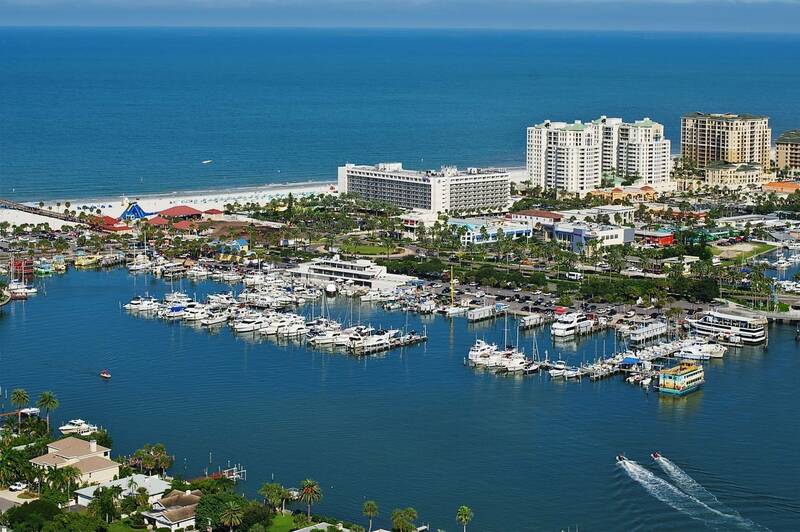 Great marina!! Been there many times!! 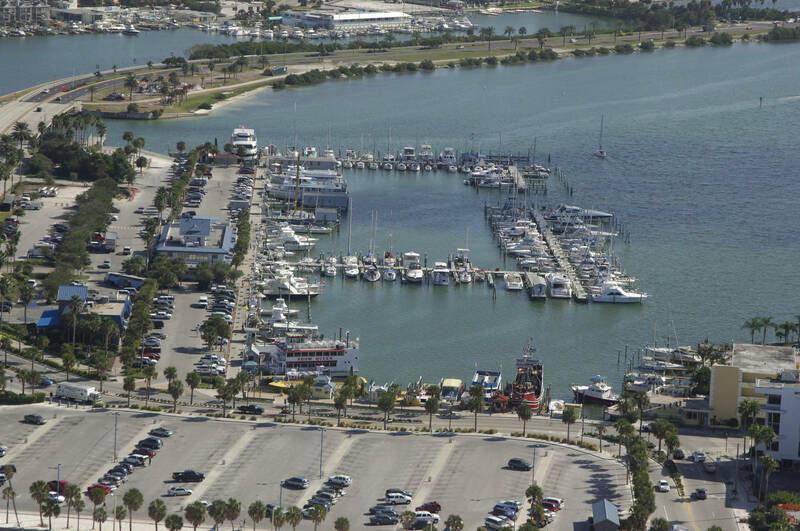 Thank you for visiting the Clearwater Beach Marina! We are glad you enjoyed your stay and look forward to seeing you again soon! Great Marina and good service. Location is good with many restaurants in walking distance. Clearwater trolley system works good for getting around up and down the beach area. 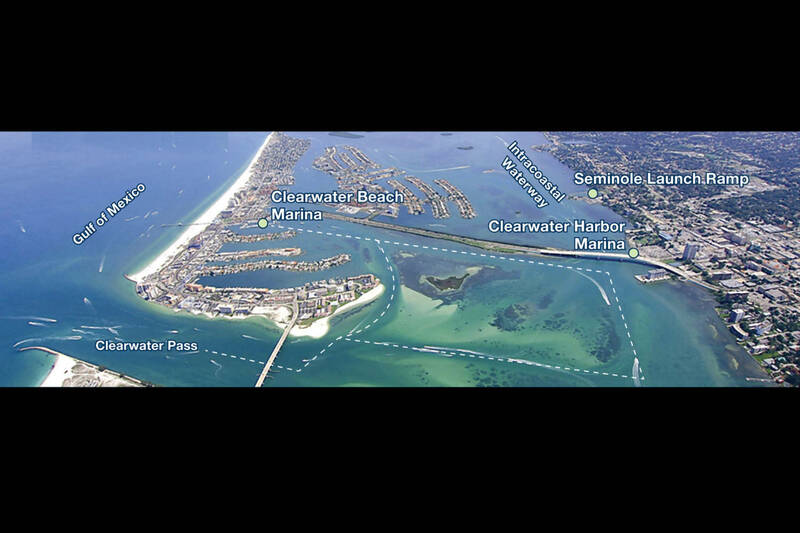 Good place to enter the Gulf if you're going North or South. 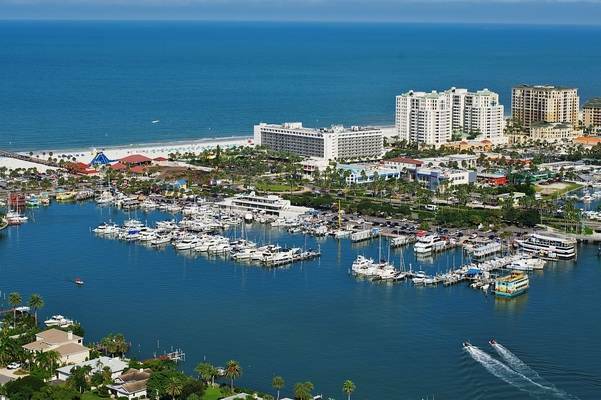 Clearwater Beach Marina is ideally located on world-renowned Clearwater Beach, which was rated by TripAdvisor as the #1 Best Beach in the United States for 2018. 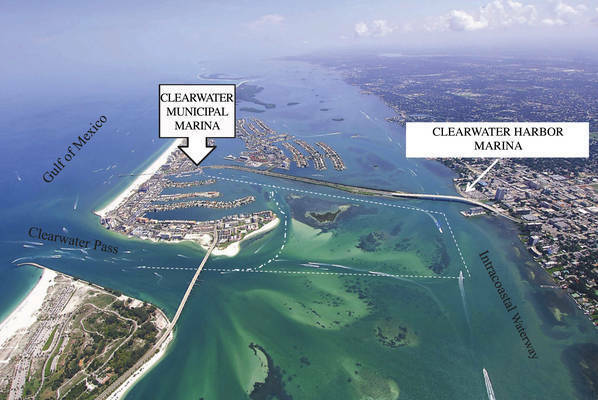 Clearwater Beach Marina offers access to all boating activities. 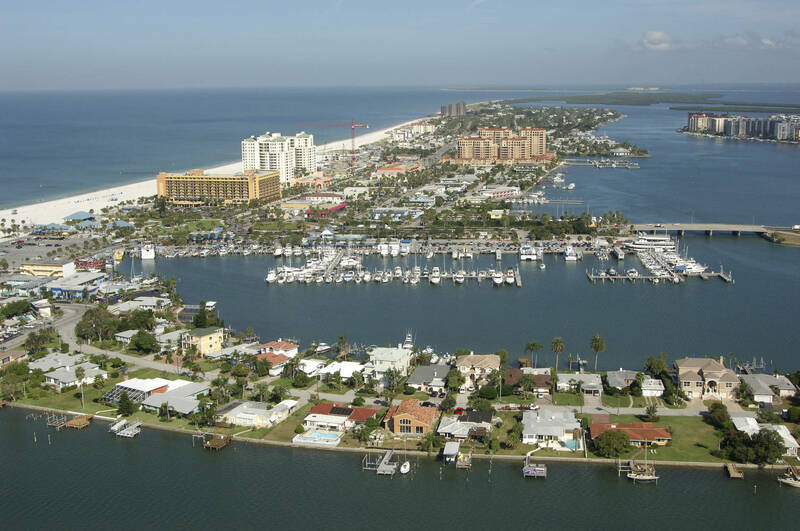 We are home to the finest fishing charters, sailing charters, sight-seeing boats, dinner cruises, dolphin tours, parasailing and personal watercraft. We also have restaurants, a gift shop, barber shop, laundry facilities, mini-mart and bait house. 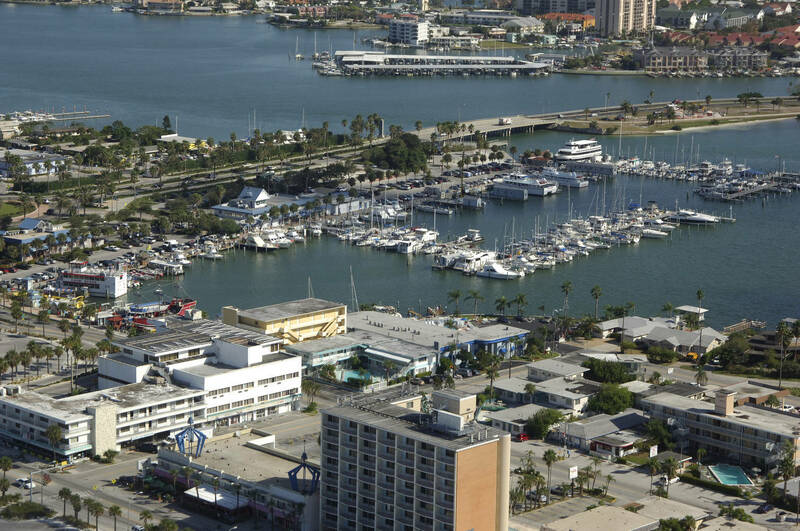 It is centrally located so you are close to shopping and entertainment venues. Clearwater Beach Marina has more than 200 slips and is open year-round. There are 23 slips available for transient boaters. We are equipped to accommodate vessels up to 125 feet. 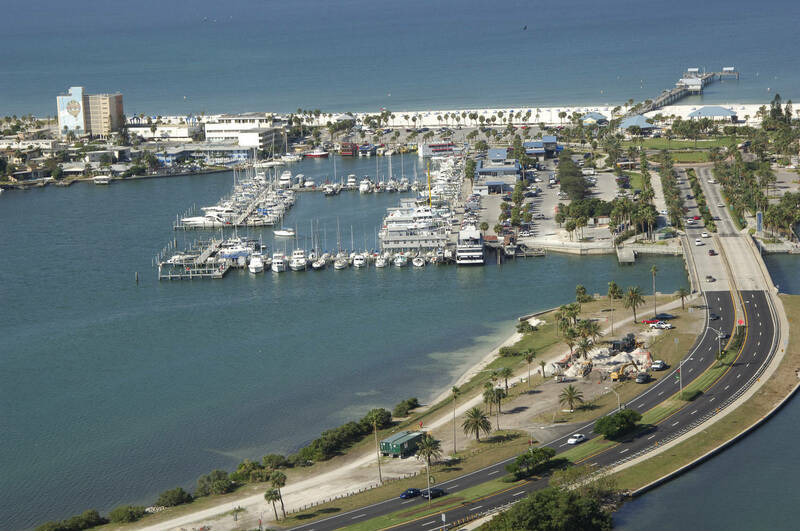 There is no drawbridge between our marina and the Gulf of Mexico. We offer gasoline and diesel fuel, free pumpouts, showers, 24-hour security, free cable TV, weather monitor, free fishing pier and waste oil disposal. 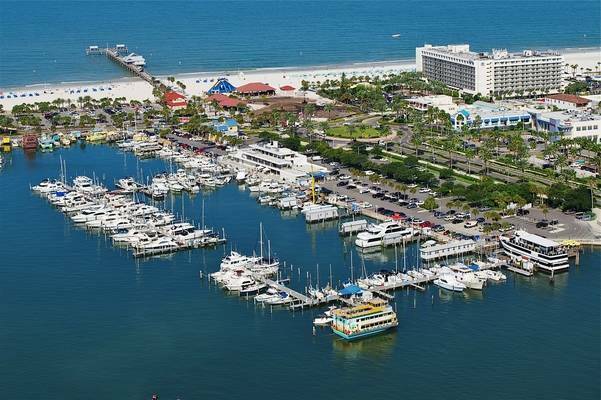 We are staffed by employees that are trained to provide the highest customer service standards to Clearwater citizens and visitors. Maximum 12 week stay for transient tenants. 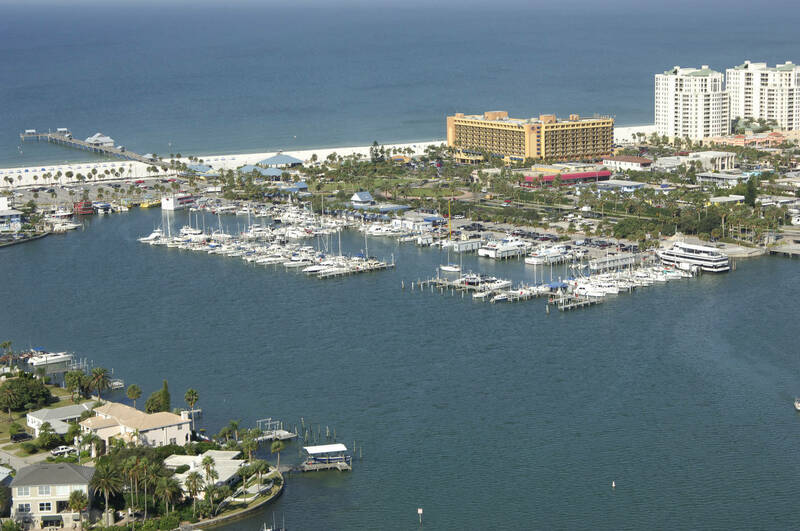 When you check-in it is required you provide the dockmaster with proof of insurance. There are weekly and daily rates. Weekly is $11/ft, once your reservation is past a week you will be billed per night at this lower rate automatically. 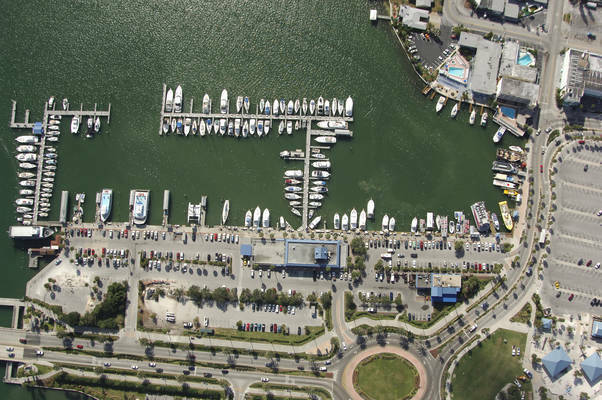 The marina has decided to no longer offer a monthly rate for transient boaters.